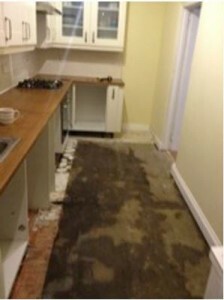 Landlord ratings on Asktenants.co.uk suggest, mould and damp are the biggest issues facing private tenants. 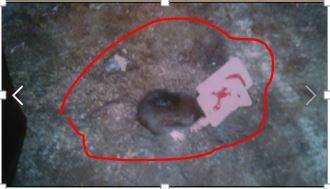 Almost one in ten also having to deal with pests like rats or mice. 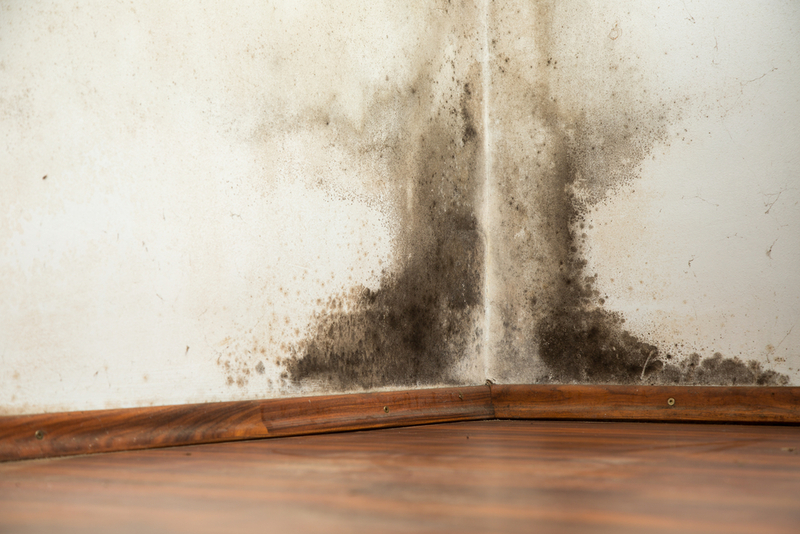 More than a third of tenants, 36%, have unresolved mould or condensation problem while a third. 34%, are faced with an unresponsive and seemingly uncaring landlord. This is according to new stats on Landlord ratings service Asktenants.co.uk. Stats are based on Landlord ratings posted by tenants across the UK. 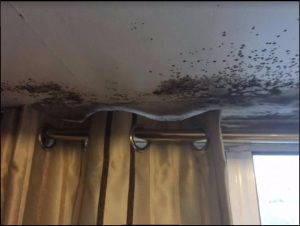 The site analyzed thousands of Landlord reviews from across the UK finding more than a quarter, 29%, of tenants saying the deposit refund process was unfair. Payal Bhavnani and Vijay Bhawnani founders of Asktenants.co.uk and say tenant’s stories are being shared every day. We set up the site after our own bad experience of renting a property and wanted to give tenants somewhere to go to speak out. 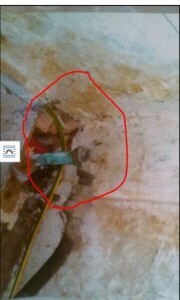 Rental property reviews on Asktenants.co.uk gives them this forum. 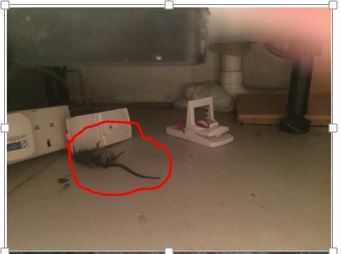 Analysis of rental property reviews on Asktenants.co.uk showed unresolved rodent infestation is bothering 10% of tenants and many have potentially dangerous electricals/wiring posing risk to their life. 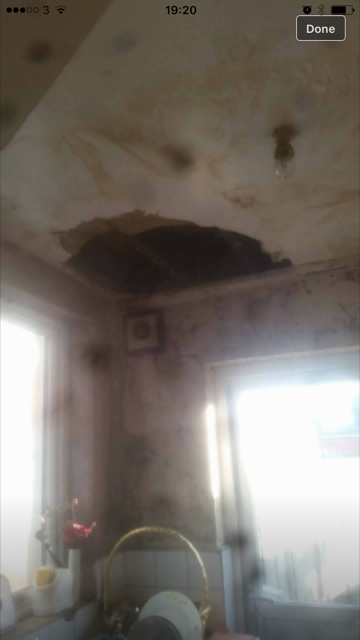 Some of them have shared the misery in pictures on their landlord rating. The houses rated on Asktenants.co.uk with dangerous wiring, rats and mice. This tenant saw her kitchen roof fall – council and landlord did not respond. She is currently living in potentially dangerous property with young children. We have put her in touch with Shelter. 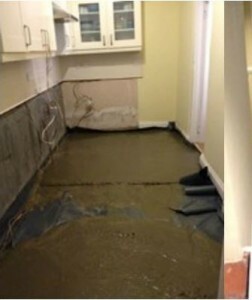 Flooded kitchen on Saaher’s rented house in Richmond. 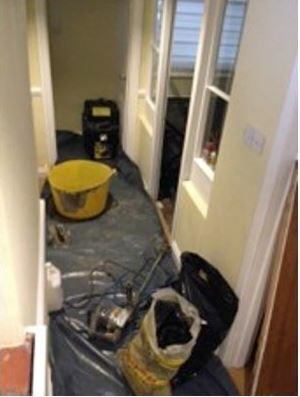 Saaher reviewed his experience once he moved out of his £1,700 a month rental property after a burglary. Over £10,000 of their jewelry was taken during a break in. Following which the only measures that the landlady had taken to secure the broken into basement flat was to board up the back door. 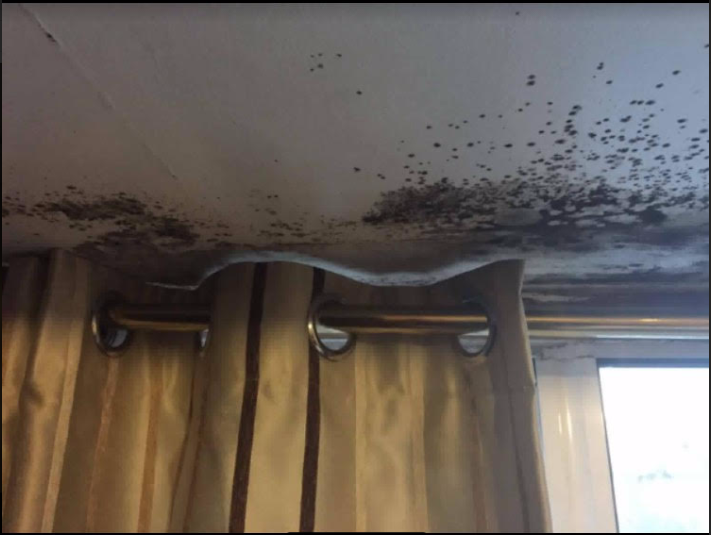 Without a back door they could open, condensation occurred in the flat making it stuffy and an unpleasant place for the couple and their two young daughters to live. Saaher said “In June 2015 we noticed water coming up under tiles laid on the kitchen floor. Historically our landlady was slow at repairs, so as this was such a big job and a huge problem for us, I sourced a local handyman and put the two in touch. “The next issue came after we got broken into. This happened on 5th December and the only works to repair the door the thieves broke in was to board it up. As the door was one of the primary ways of getting air into the basement property, condensation occurred. “The reason for the lack of willingness to make the repair was that it was too close to Christmas – Christmas was 20 days away. 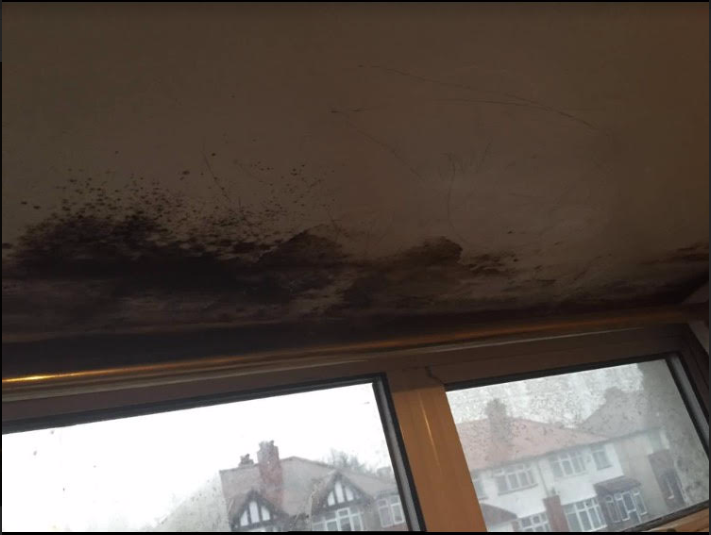 It was bad enough being broken into and the mental trauma that came with that, but then to be living in a flat that didn’t feel secure with condensation was the final straw. “We gave two months’ notice on the property and moved out a month later to a flat across the road which we’re very happy in. “I ended up in dispute with the landlady with over-paid rent. She claims nothing is in dispute, however, my argument is that I paid full rent for three weeks when we were unable to live in the property. Saaher continued: “This is the first time I’ve rented property and it’s been really stressful. The landlord and the agents hold all the power so having a place to go, like Asktenants.co.uk is great. Tenants have no voice and little protection.